With $5 trillion traded every day, FX dwarfs all other markets. It’s a tough market to master―but not as tough as people think. Currency Kings provides the keys anyone can use to unlock the enormous potential of FX. Each of these investors have drawn untold profits through FX trading―and none of their styles is the same. Which goes to show that there is always room for innovation. 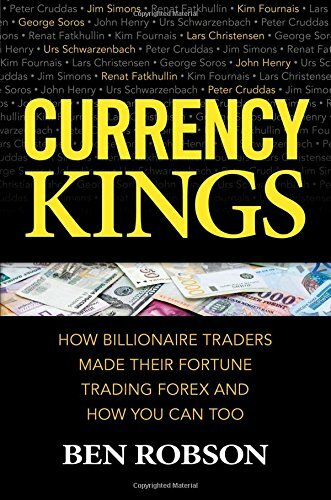 Currency Kings provides the foundation, you build on it with the right combination of discipline, original thinking, and a powerful will to win. The behemoth called the FX market awaits. Use this unparalleled investing guide to profit beyond your wildest dreams.